Kyle Lauletta is a famous American football quarterback for the New York Giants of the National Football League (NFL). He played college football at Richmond. He plays by wearing shirt number of 17. He started his career from his high school where he threw an impressive record-breaking 10,465 yards as well as 73 touchdowns. Being as a famous quarterback player. Giants Quarterback Kyle Lauletta Arrested in Traffic Incident. Giants backup quarterback Kyle Lauletta was arrested in a traffic incident in Weehawken, N.J. on Tuesday while he was driving to the team's practice facility. 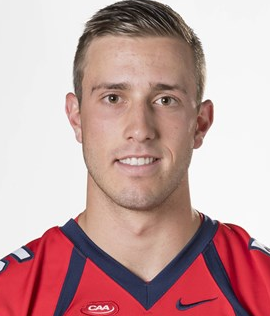 Kyle Lauletta was born on 27th November 1995 in Exton, Pennsylvania. As of 2018, his age is 22. He came from a family of football players; his father and uncle played quarterback and punter for Navy, respectively, and two of his brothers have also been quarterbacks for Downingtown East. His parent's name, sibling details are still not revealed yet and will be updated soon. Regarding his education, he completed his high school from Downingtown East in Lionville, Pensylvania. Later, he joined Richmond college and graduated from there. Kyle has got a very hot body. With his charming smile and glowing face, he attracts a lot of people towards him. Talking about his height and weight, he has a tall height of 1.91 m (6 ft 3 in). His balanced weight is 222 lb (101 Kg). He maintains his body lot. His other body measurement will be updated soon. 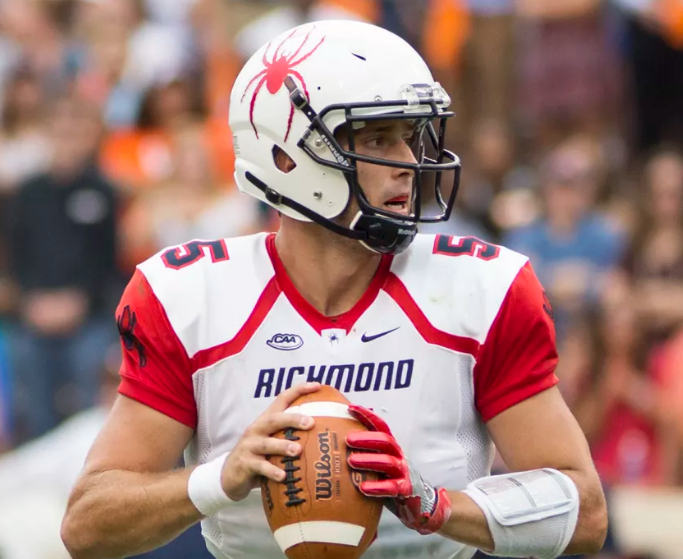 Kyle started his football journey from his college, Richmond from the year 2013 to 2017. In the year 2016, he tore his ACL after leading Richmond to an 8–2 record at the time, but recovered and played all games in 2017, his best statistical season. He threw for a school-record 10,465 yards and 73 touchdowns. He was also invited to play in the 2018 Senior Bowl, in which he threw for 198 yards and three touchdowns and was named the game's MVP. He was selected by the New York Giants in the fourth round (108th overall) of the 2018 NFL Draft. Kyle was arrested in Weehawken, New Jersey, after being pulled over in his Jaguar on the way to Giants team practice on 30th October 2018. Later, he was charged with eluding police, a third-degree crime; obstructing the administration of law and resisting arrest, motor vehicle charges for reckless driving, disregarding an officer's directions, an improper turn in a marked traffic lane and failure to remain in a marked lane. The net worth of Kyle is kept secret. His net worth has not been revealed yet. He is earning a good amount of money from his football career. For his recent career, he signed a lucrative four-year contract with the New York Giants which was worth $3,167,700 of which Lauletta received a $707,700 signing bonus. His exact salary does not figure yet and will be updated soon. Kyle may be married and unmarried. There is no any information regarding her marital life. Possibly, he may have a girlfriend but she has not spoken anything to the media. He is enjoying his life a lot. He came from a family of football players. Kyle started his football journed from his college, Richmond from the year 2013 to 2017. He was arrested in Weehawken, New Jersey, after being pulled over in his Jaguar on the way to Giants team practice on 30th October 2018. He signed a lucrative four-year contract with the New York Giants which was worth $3,167,700 of which Lauletta received a $707,700 signing bonus.